In a recent Pharmacopeial Forum two revised USP general chapters have been published for comment. With these drafts, the USP expert committee is removing the requirement for <87> Biological Reactivity Tests, In Vitro testing for packaging materials and systems for oral and topical dosage forms. Read more about the draft chapters of <661.1> Plastic Materials of Construction and <661.2> Plastic Packaging Systems for Pharmaceutical Use.testing for packaging materials and systems for oral and topical dosage forms. Read more about the draft chapters of <661.1> Plastic Materials of Construction and <661.2> Plastic Packaging Systems for Pharmaceutical Use. In Pharmacopeial Forum 42(4) [Jun-Jul 2016] drafts of two revised USP general chapters <661.1> Plastic Materials of Construction and <661.2> Plastic Packaging Systems for Pharmaceutical Use have been published for comment. Deadline for comments is September 30, 2016. With these drafts, the USP General Chapters – Packaging and Distribution Expert Committee is removing the requirement for <87> Biological Reactivity Tests, In Vitro testing for packaging materials and systems for oral and topical dosage forms. The new requirement (since May 2016) for <87> Biological Reactivity Tests, In Vitro testing for packaging materials and systems for oral and topical dosage forms has been highly discussed, since this testing is not required for the mentioned dosage forms according to EMA guideline on plastic immediate packaging materials (December 2005) and US FDA container closure guidance (May 1999). In case of oral and topical dosage forms both guidances require “only” compliance to food regulations (EU: regulation 10/2011, US: indirect food additives guidelines) or, if applicable, (preferably) to pharmacopoeial monographs (if the material or system is described in a pharmacopoeial chapter). The new requirement (Biological Reactivity Tests, In Vitro) could have led to delays in releasing new oral or topical products on the market. Additionally, one might have had to re-evaluate already existing oral and topical products packaging systems on the market. Therefore, the present decision to revise the two packaging chapters regarding the requirement for <87>Biological Reactivity Tests, In Vitro seems to be justified. How do the newly revised General Chapters <661.1> and <661.2> impact currently marketed packaged pharmaceutical products? If a packaging system or component that gained regulatory approval with one product is used as a packaging system for a new product, would <661.1> and/or <661.2> testing be required? If a material of construction for a packaging system or component that has received regulatory approval is changed, is <661.1> and/or <661.2> testing required? Why does USP require <87> Biological Reactivity Tests, In Vitro testing for solid oral dosage forms? In order to market a drug product, defined as a dosage form plus its associated packaging system, the product must be evaluated for its suitability for use by the relevant regulatory authority. The purpose of <661.1> is to increase the likelihood that a packaging system will be suited for use by providing data about its material(s) of construction, whereas the purpose of <661.2> is to establish that the packaging system is suited for use. Because suitability for use has already been established for marketed products via regulatory review, <661.1> and <661.2> testing has no additional value in terms of establishing suitability for use. Thus, a packaging system and its materials of construction that have been evaluated by a regulatory authority and are used with a marketed dosage form are considered to already meet the requirements of <661.2> and <661.1> (see <1661> Evaluation of Plastic Packaging Systems and Their Materials of Construction with Respect to Their User Safety Impact and Table 1). If a packaging system (and its materials of construction) that is used with one marketed dosage form is used with a second, compositionally similar dosage form, and if the conditions of use are similar for the two dosage forms, neither <661.1> nor <661.2> testing is required. This is because the information used to establish the suitability for use with the approved product is relevant to and is typically sufficient for establishing the suitability for use with the new product. If the new drug product is compositionally different from the approved product, and/or the conditions of use are different, then <661.1> testing would not be required. This is because generally, <661.1> testing is not dependent on the dosage form composition or the conditions of use. The exception to this statement is when a packaging system for a marketed “low-risk” dosage form is used for a new “high-risk” dosage form. A dramatic change in the nature of the dosage form would require <661.1> testing. This is because <661.1> testing of materials used with “high-risk” dosage forms is more extensive than <661.1> testing of materials used with “low-risk” dosage forms. In this scenario, those tests that are required for both low- and high-risk dosage forms do not need to be repeated (for example, Identity, Physicochemical Tests, Extractable Metals, and <87> Biological Reactivity Tests, In Vitro). Those tests that are unique to the high-risk dosage forms (e.g., <88> Biological Reactivity Tests, In Vivo as appropriate and Plastic Additives) would need to be performed. A similar analysis is true for <661.2> testing of the packaging system. Biological Reactivity and Physicochemical Tests are not specifically linked to a dosage form or conditions of contact, thus the packaging system would not need to be tested for these attributes regardless of any differences in the composition or conditions of use between the approved and new drug products. However, as the generation and toxicological safety assessment of an extractables profile is influenced by the composition of the dosage form and the conditions of use, it may be necessary to perform the Chemical Safety Assessment (extractables profiling and toxicological safety) in <661.2>. Under <661.2>, any decision not to perform this Chemical Safety Assessment would need to be justified on a case-by-case basis. When a packaging system for a marketed “high-risk” dosage form is used for a new “low-risk” dosage form, <661.1> and <661.2> testing is not necessary. In this case, whatever information was used to establish the suitability for use with the “high-risk” dosage form would also establish the suitability for use with the “low-risk” dosage form, as the “high-risk” information would generally represent a worst case scenario for the “low-risk” situation (see <1661> Evaluation of Plastic Packaging Systems and Their Materials of Construction with Respect to Their User Safety Impact and Table 1). As all materials of construction are required to meet <661.1>, it is expected that the new, different material would have to have been tested per <661.1>. Note that the new material would not be one of the legacy materials whose <661.1> compliance is “covered” by the fact that the product is being marketed. Use of a new and different material of construction in a packaging system can reasonably be anticipated to have an effect on the suitability for use of that packaging system. Thus, the new packaging system should be tested per <661.2>. Nevertheless, neither <661.1> nor <661.2> is intended to establish prescriptive requirements associated with exercising change control. Organizations are responsible for establishing their own change control practices, subject to approval by the appropriate regulatory authority. 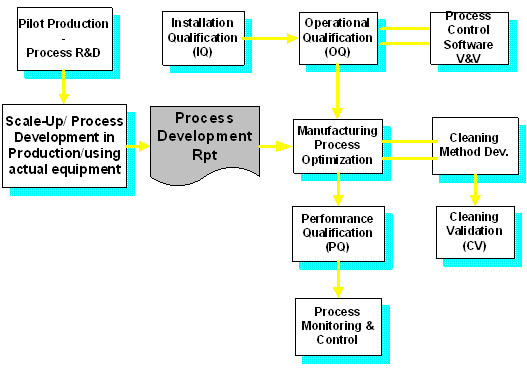 It is expected that those change control practices that do not specifically utilize <661.1> and <661.2> will include a justification for such practices, specifically focusing on the potential effect(s) that the change may have on user safety and product quality (see <1661> Evaluation of Plastic Packaging Systems and Their Materials of Construction with Respect to Their User Safety Impact and Table 1). Note: The provisions in <661.2> for packaging systems must be met for components whose testing has been deemed to be necessary. In general, the amount and type of testing required to verify the suitability of packaging systems and their materials of construction should be consistent with the risk that the system or material could be unsuitable. In addition, the risk that packaging systems would be unsuited for use for solid oral dosage forms is lower than the risk associated with other dosage forms. Recognizing these generalizations, <661.1> has different testing requirements and/or specifications for these two groups of dosage forms. Because some of the tests required in <661.1> are applicable regardless of dosage form (for example, Identity, Physicochemical Tests, and Extractable Metals), such tests are applied with no difference to both groups of dosage forms. Although both groups of dosage forms are required to address Biological Reactivity, <661.1> requires only Biological Reactivity Tests, In Vitro <87> for oral and topical dosage forms while requiring both Biological Reactivity Tests, In Vitro <87> and Biological Reactivity Tests, In Vivo <88> (as applicable) for all other dosage forms. Both groups are required to address Plastic Additives, but solid oral dosage forms address this aspect by making proper reference to FDA’s Indirect Food Additive regulations while the other dosage forms address this issue by specified Plastic Additives testing. A cornerstone of suitability for use assessment of packaging systems and their materials of construction is the concept of orthogonal assessment. This is because individual means of assessment are generally insufficiently robust or broad enough in scope to provide rigorous and complete assessments on their own. Thus orthogonal assessments are performed to essentially “fill in the gaps” in the individual assessments. As referred to in the European Pharmacopoeia, the procedure for terminal sterilisation of a medicinal product, an API, or an excipient is generally the method of choice. Yet, this might be difficult in many cases for product stability reasons. That’s why other microbial reduction processes can be used like sterilising filtration or aseptic processing. So far, there has been some uncertainty about these methods and their acceptance in a marketing authorisation procedure or a variation application, and about which data have to be submitted. EMA’s new draft guideline entitled “Guideline on the sterilisation of the medicinal product, active substance, excipient and primary container” from April 2016 contains clear provisions with regard to the acceptance of alternative sterilisation processes by the European authorisation authorities. Those provisions apply to chemical and biological medicinal products for human and veterinary use as well as the respective APIs and excipients, but aren’t applicable for immunological veterinary medicinal products. The document describes the requirements on sterilisation of medicinal products, APIs, excipients and primary containers, as well as on the choice of the method of sterilisation. Besides, the document contains two decision trees for the selection of the sterilisation method for products in diverse galenic forms. The choice of the sterilisation method has to be justified. The method must be validated. The method described in the corresponding general monograph of the European Pharmacopoeia has to be used. All deviations have to be justified. The procedures for all sites (including outsourced activities) where sterilisation is performed have to be documented (CTD module 3, chapters 3.2.P.2 and 3.2.P.3). The document clarifies that the requirements laid down in Part II of the EU GMP Guide are only applicable for the manufacture beginning with the starting material up to the finished API, immediately prior to sterilisation. 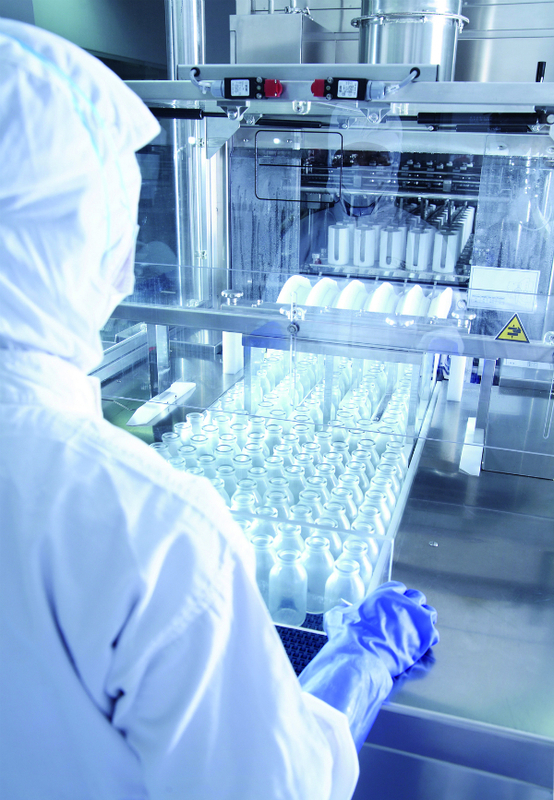 The sterilisation step performed on the API is considered to be a step in the manufacture of the medicinal product. As a consequence, each manufacturing establishment which performs sterilisation of an API requires a manufacturing authorisation, a GMP certificate and thus aQualified Person too. This also applies to establishments which manufacture sterile excipients. APIs and excipients with a Certificate of Suitability (CEP) are also covered by this regulation. According to Ph. Eur., general chapter 5.1.1, the terminal sterilisation step should be made in the final container whenever possible. When sterilisation by heat is not possible because of temperature sensitivity of the product, alternative methods or aseptic processing may be used if they are properly validated. Terminal steps for the reduction of the microbial level are also possible as long as they are not used to compensate for poor aseptic manufacturing practice. A change (shortening) in shelf-life or storage conditions caused by the terminal sterilisation step is not in itself a reason to allow aseptic processing unless the new storage conditions or shelf-life would cause problems or restrictions in the use of the product. An increase in impurity levels or degradation products upon terminal sterilisation doesn’t directly lead to the acceptation of aseptic processing. The risks induced by an increased level of impurities should be balanced with the risks induced with an aseptic manufacturing method (e.g. characteristics of the degradation products vs. posology of the medicinal product). Attempts performed to determine sterilisation conditions to give acceptable impurity levels and to simultaneously achieve a microbial reduction of at least 10-6 have to be described in the quality dossier. Under specific conditions, aseptic processing may be accepted even if terminal sterilisation of the product itself would be possible, e.g. in the case of eye drops in polyethylene containers enabling administration of single drops or pre-filled pens. Here, terminal sterilisation of the product would destroy the final container. The considerations for the choice of the container should be described in the dossier also in the case of heat-sensitive final containers. Here, the search for materials which come through terminal sterilisation has priority. For example, polypropylene is more resistant than polyethylene. The choice for the final container has to be justified. Large volume parenterals should be terminally sterilised whenever possible. In general, the regulatory authorities will expect a detailed justification for the selection of the sterilisation method or the aseptic processing in the form of a benefit/risk analysis. The essence of the requirements described in the chapters of this guideline can be found in the two decision trees for sterilisation of products in diverse administration forms (aqueous liquid; non-aqueous liquid, semi-solid, dry powder). The deadline for comments on this Draft Guideline Sterilisation of the medicinal product, active substance, excipient and primary container ends on October, 13th 2016. In cases of serious deviations from the GMP requirements, the US FDA issues Warning Letters to the companies concerned. In some current Warning Letters from 2014, significant GMP deficiencies with regard to IT topics can be found. Read on. In a first stage of escalation – when serious GMP deviations are identified during inspections, or in case of insufficient corrective measures – the FDA issues a Warning Letter to the companies concerned. Within 15 working days, the companies in question have to undertake concrete action plans to redress those deviations. If these action plans are evaluated as insufficient by the Agency, further escalation levels may follow. Some Warning Letters from 2014 also list GMP deficiencies with regard to IT topics. Not a single Warning Letter has been exclusively issued just because of IT issues, though. But taken together, all the GMP deviations in a company were so serious that the Agency issued a Warning Letter which also included deviations related to IT. All in all, 7 Warning Letters from 2014 contain topics with regard to IT. 4 Warning Letters have been issued for manufacturers of medical devices, 2 Warning Letters for manufacturers of medicinal products and 1 Warning Letter for an API manufacturer. In part I of our news on IT-related Warning Letters we covered those regarding medical devices. Following you will find letters with regard to finished medicinal products and APIs. IT-related Warning Letters for manufacturers of finished medicinal products always refer to 21 CFR 211.68 (b): “Your firm failed to exercise appropriate controls over computer or related systems to assure that only authorized personnel institute changes in master production and control records, or other records “21 CFR 211.68 (b)” . Also the questions regarding Audit Trails and access controls have been either unanswered or insufficiently answered. The response did not describe the audit trails for the processing of the data on your system. From the authority’s view, the current focus of IT-topics generally concerns the question of data and system security, particularly the traceability of changes by means of Audit Trails. There are new chapters in the USP regarding testing of subvisible particles. Chapter Subvisible Particulate Matter in Therapeutic Protein Injections <787> became official August 1, 2014. The informational chapter <1787> was developed to support chapter <787> and will be published in USP 38 in November and become official on May 1, 2015. Read more. During the current (2010-2015) USP Expert Committee cycle, the Dosage Forms Expert Committee has developed both new and revised general chapters that provide guidance on particulate matter content of injectable drug products. For visible particles, methods are based upon human detection sensitivity as described in Visible Particulates in Injections <790>, which applies to all sterile injectable dosage forms. For subvisible particle content, which is based upon instrumental determination, new particulate matter guidance has been established specifically for sterile injectable biotherapeutic products. The new general chapter Subvisible Particulate Matter in Therapeutic Protein Injections <787> became official August 1, 2014, and provides an improved version of the approach in the chapter Particulate Matter in Injections <788> for the more-sensitive protein formulations. Chapter <787> was initiated to modify historical <788> testing by light obscuration, in order to address the sensitivities of protein products. Chapter <787> also provides a testing framework for a scientific and regulatory concern regarding the immunological effects of the sub-10-µm particle load. In addition, smaller-volume sampling is allowed, down to 0.2-mL aliquots, and sampling of individual containers as well as gentler de-gassing steps is included. Although particle-size thresholds remain the same at >= 10 µm and >=25 µm, with the same limits as those found in chapter <788>, there is a recommendation to monitor the population below the 10 µm threshold. Total particle content is limited to 6,000 particles >=10 µm and 600 particles >= 25 µm for all dosage forms. The new informational chapter Measurement of Subvisible Particulate Matter in Therapeutic Protein Injections <1787> was developed to support chapter <787> and provides sizing, counting, and characterization guidance for all protein therapeutic products; <1787> provides significant expansion of recommended techniques. The new chapter will appear in USP 38 in November and become official May 1, 2015. As an informational chapter, it provides no count limits but instead is focused on the determination of the inherent protein population and its character. The intent of chapter <1787> is to aid the scientific development process for all therapeutic protein products. The chapter provides guidance on subvisible particles in the 2-µm to 100-µm range. The rationale for using this range is based upon 100 µm as a conservative, lower-limit threshold for visible particles and 2 µm as the lower size domain for which the recommended techniques are considered robust and proven. The informational chapter is presented in three sections: Size and Distribution, Size and Morphology, and Characterization, with descriptions of techniques in each section. Advantages and disadvantages of each technique are presented. The chapter also provides definition and discussion of the three particle categories: a) extrinsic (truly foreign), b) intrinsic (unwanted yet arising from the process or product), and c) inherent (product attribute). A discussion of silicone oil content is included; even though silicone oil is a necessary additive for most products, it may produce artifact counts or unwanted particles, or it may affect the stability of the therapeutic agent if uncontrolled or used in excessive quantity. It is recommended that data on the population below 10-µm is collected in two data bins: >= 2-5 µm and >= 5-10 µm. Chapter <1787> concerns all particle species present in the final product; however, it is primarily oriented toward the inherent therapeutic agent condition and acceptability. Certainly, the acceptability of the therapeutic protein product is dependent upon the innovator data and regulatory review. The ECA working group on visual inspection, which was founded this year, is going to publish its first document during the ECA event Particles in Parenterals and beyond. Read more. The work on this best practice paper has already started earlier this year and has been intensified since the foundation of the working group in March 2014. The goal of this paper is to harmonise the long lasting experience and knowledge from different and approved industrial practices and from presentations from previous conferences. The paper is still in the group internal discussion phase, but it will be published in its first version during the ECA conference “Particles in Parenterals and beyond” scheduled in Copenhagen, Denmark, from 24-25 September 2014. All participants of the event will receive a copy of this document. In the future course of this year, the group will decide whether it will be transferred to an interest group which would then allow to further discuss and supplement the content of the paper and to possibly admit further group members. More information will be published on the group’s webpage, when available. Cleaning validation is primarily applicable to the cleaning of process manufacturing equipment in the pharmaceutical industry. The focus of cleaning validation is those cleaned surfaces that, if inadequately cleaned, could potentially contaminate the product subsequently manufactured in that same equipment. This primarily covers product contact surfaces in the cleaned equipment. Cleaning validation is not performed only to satisfy regulatory authorities. The safety of patients is the primary objective, and product contamination presents serious liability issues for any pharmaceutical manufacturer or contract organization. The unhygienic conditions in Chicago’s meat- packing plants revealed in Upton Sinclair’s novel, “The Jungle”, allowed the government investigators and congress to enact the meat inspection law and the Pure Food and Drugs Act in 1906, the law forbade adulteration, misbranding adulteration, misbranding of foods, drinks, and drugs. Thirty years later the drug tragedy “elixir of sulfanilamide” which killed over 100 people, greatly dramatized to broaden the existing legislation. On June, 25th 1938 Franklin D. Roosevelt signed the Federal Food, Drug, and Cosmetic Act, it required manufacturers to provide scientific proof of drug safety before it could be marketed. All these events brought the current regulatory requirements for cleaning validation. 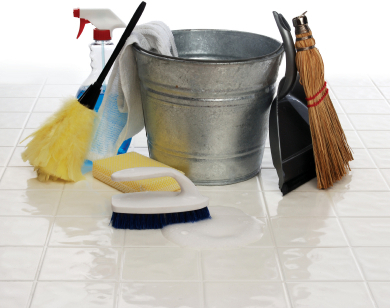 Cleaning can be defined as removal of residues and contaminants. The residues and contaminants can be the product themselves manufactured in the equipment or residues originating from the cleaning procedure (detergents / sanitizers) or degradation products resulting from the cleaning process itself. The basic mechanisms involved in removing the residues and contaminants from the equipment are mechanical action, dissolution, detergency and chemical reaction. 1.Mechanical action – It refers to the removal of residues and contaminants through physical actions such as brushing, scrubbing and using pressurized water. 2.Dissolution – It involves dissolving the residues with a suitable solvent. The most common and practical solvent is water being non-toxic, economical, environment friendly and does not leave any residues. Alkaline and acidic solvents are sometimes preferred as it enhances the dissolution of the material, which are difficult to remove. What is cleaning validation ? It is documented evidence with a high degree of assurance that one can consistently clean a system or a piece of equipment to predetermined and acceptable limits. To verify the effectiveness of cleaning procedures and to ensure no risks are associated with cross contamination of active ingredients or detergent/sanitizer. · Change in a cleaning agent. Why we do validation for 3 times ? Once an FDA was asked why do we do it 3 times? His answer was – Because if it comes out right once it is an accident, twice coincident, three times validation. • Section 211.63 relates to the equipment design, size, location, and requires that equipment used in the manufacture, processing, packaging, holding of a drug product shall be of appropriate design, adequate size, and suitably located to facilitate operations for its intended use and for its cleaning and maintenance. • Section 211.65 states that a) the construction of equipment which contact the in-process materials, or drug products shall not be reactive, additive or absorptive so as to alter the safety, identity, strength, quality or purity of the drug product beyond official or other establishment requirements. b) Any substances required for operation, such as lubricants or coolants, shall not come into contact with components, drug product containers, closures, in-process materials, or drug products so as to alter the safety, identity, strength, quality or purity of the drug product beyond official or other establishment requirements. • Section 211.67 further requires that the equipment and the utensils shall be cleaned, maintained and sanitized at appropriate intervals to prevent malfunctions or contamination that would alter the safety, identity, strength, quality or purity of the drug product in form of written procedure including all the parameters during cleaning. • Section 211.180 and 211.182 relates to the record that should be kept for the maintenance, cleaning, sanitation and inspection of equipment. · Written cleaning procedures should be established. Attention should be addressed to dedicate certain equipment to specific products, such as fluid bed dryer bags and to residue originating from the cleaning detergent or solvent themselves. · Procedure on how validation will be performed should be in place. · Who is responsible for performing and approving the study. · Acceptance criteria should be set. · Procedure dealing with the subject of when revalidation study stating issues such as sampling procedure and analytical methods. · Study should be conducted according to protocol. · Approved report should state the validity of the cleaning process. In all cases cleaning procedure must prove to be effective, consistent and reproducible. FDA recommends (CIP) should be used to clean process equipment and storage vessels in order to reproduce exactly the same procedure each time (FDA, March 1998). With manual procedure one must rely on the operator skills and thorough training of the operator is necessary to avoid variability in performance. However in some instances, it may be more practical to use only manual procedures. Swabbing technique involves the use of a swabbing material, often saturated with solvent, to physically sample the surfaces. Rinse Sampling involves passing a known volume of solution over a large area and analyzing the recovery solution. Placebo sampling can be used to detect residues on equipment through the processing of a placebo batch subsequent to the cleaning process. It is appropriate for active residue, cleaning agent, particulates and microbial testing. Placebos are used primarily to demonstrate the lack of carryover to the next product. The placebo should mimic product attributes. The equipment characteristics also impact the choice of the placebo batch size. The preferred sampling method and the one considered as the most acceptable be regulatory authorities is the swabbing method. Specific and non-specific are the two analytical methods used widely to detect any compound. The choice of using a specific or non specific method can be difficult. If a drug active is highly toxic, a specific method is always recommended. Chromatographic methods are preferred for cleaning validation studies because of their sensitivity, specificity, and ability to quantify. It is a method that detects a unique compound in the presence of potential contaminants. Some examples of specific methods are high performance liquid chromatography (HPLC), Ion chromatography, Atomic absorption, Capillary electrophoresis, and other chromatographic methods. It detects any compound that produces a certain response. Some examples of non specific methods are Total Organic Carbon (TOC), pH, Titration, and conductivity. It is always wise to choose the simplest technique that can be used to reach the desired goal. The sensitivity of the method shall be appropriate to the calculated contamination limit. The method shall be practical and rapid, and, as much as possible use instrumentation existing in the company. The method shall be validated in accordance with ICH, USP, EP requirements. The analytical development shall include a recovery study to challenge the sampling and testing methods. How hard can cleaning be? That is something that people who are not involved in the production of pharmaceutical products may ask, but not people in the industry. The general thought process in the industry is that cleaning and cleaning validation is a practice that is necessary and unpleasant and best to be forgotten once it is done. But with the new process validation guidance that has come out from FDA in recent years, it is more important than ever to verify, control and improve our cleaning process validation procedures.